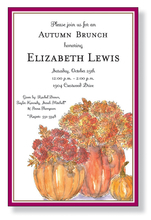 "Once again I thank you for your GREAT SERVICE!! 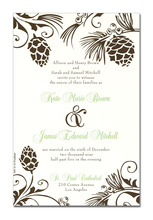 It could not have been easier and the product I received was even more beautiful that it looked online. 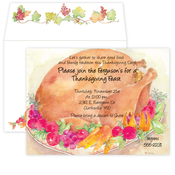 I was so pleased and I am ordering more now!" 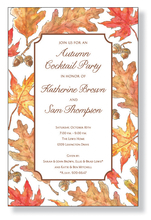 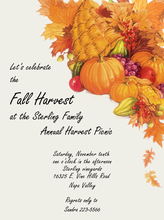 Enjoy browsing our wonderful selection of FALL or THANKSGIVING PARTY INVITATIONS. 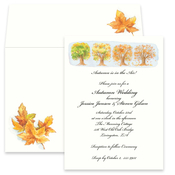 All Fall Or Thanksgiving Cardstock Invitations include envelopes. 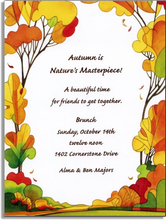 Our Invitations are easy to print on your inkjet/laser printer or we can print for you. 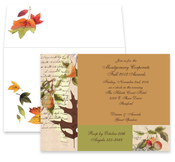 Be sure to also check out our selection of FALL or THANKSGIVING STATIONERY papers in the STATIONERY/NOTECARDS section of the site.